Hidden Hills Cabins is owned and operated by the McDaniel family since 2003. 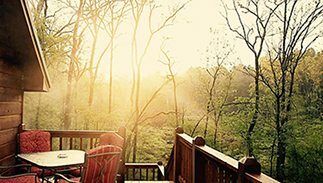 Our Cabins are a few minutes from the biggest attractions in the area, Broken Bow Lake, Mountain Fork River and Beavers Bend Resort Park. 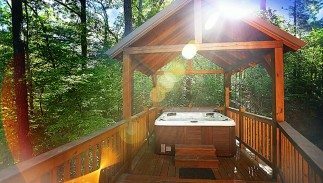 All of our cabins in Broken Bow were built and furnished with your pleasure and comfort in mind, from luxury downlite linens and fully furnished kitchens to outdoor fire pits and hot tubs. Amenities are abound. If you’re looking to get out of your cabin and experience what locals do in Broken Bow, we have plenty of restaurants, bars and shops to explore. For good food visit Mountain Fork Brewery and Restaurant for brick oven pizza and amazing salads and sandwiches or Shuck Me for delicious seafood and fried Southern dishes. While you’re at Mountain Fork grab a cold brew from their selection of fine craft beers in a low key, laid back atmosphere or visit the gift shop for a large array of gifts and merchandise. A few other things you’ll not want to miss is a visit to Hochatown Distilling Company for a tour, or Okie Girls Coffee and Ice Cream for a divine desert. Each location offers something unique and their own custom merchandise – the perfect souvenirs to remember your stay with us. Need adventure? Take a zip line tour with Rugaru Adventures, cruise the lake with Broken Bow Lake Duck Tours or take a canoe trip down Mountain Fork River with Ambush Adventures. Relax with an in-cabin massage and have us stock your cabin with groceries before your arrival! 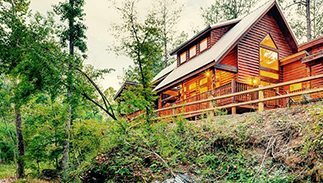 If you need a break from it all, stay in one of our luxury cabins in Broken Bow, Oklahoma. I have nothing but the highest praise for the staff and the facilities at Hidden Hills. The staff was knowledgeable, helpful and courteous in all of our dealings. I believe their properties are the nicest in the Broken Bow area and a good value. Easter and Memorial weekends excluded.